He Wants to Make Rutini a Household Name. Its not too often when you share a meal with an unpretentious winemaker, who, according to Decanter, the British publication, is one of the World's Best Winemakers of the Century. Thanks to my new friend, Gabriela, I received an invite to join Mariano Di Paola and his lovely wife, for a luncheon to sample his legendary Rutini Apartado portfolio, consisting of 100% Argentinian Malbec grapes. The vertical tasting began with the Gran Malbec 2013 and ended with the iconic Gran Malbec 2008. The wine journey was a lesson on aging and how one vintage can rarely mimic another. Mariano is one of 15 children. I am sure some of his wine making skills were instilled in him when he was growing up. Maybe its the survival of the fittest or just a stroke of genius in the man, but, whatever the reason, Mariano has the Midas touch when making wine. This belief was recently acknowledged by Decanter magazine which placed Di Paola in a select group of the most prominent winemakers in the world. 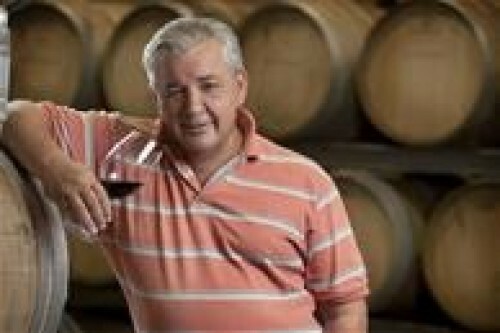 He stands out due to experience and innovation in the wine industry. Di Paola has headed the winemaking position with Rutini wines in Mendoza, Argentina, since 1994. His approach is based on experimentation and passion. During the past 21 years at Rutini, Mariano has played a key role in the modernization of its facilities. He travels the globe in order to conduct research to learn more about vineyard management. At the luncheon, Mr. Di Paola expressed that he wants to position Rutini as the most prestigious winery in Argentina. He says, "I put all my passion for wine in each tannin, each winemaking stage and finally, in each bottle of wine. An outstanding wine is made with great dedication and hard work. I strive to put my heart and soul into each detail of the winemaking process." And that is what he has done with the outstanding Rutini Apartado series. 'Apartado' comes from the Spanish verb 'apartar', which means 'that is set apart' or 'set aside' from the rest. According to Mariano, the composition of the wine varies year to year. He said he chooses the best barrels of the harvest for the Apartado series, so, the wine can represent the true richness of the vineyards in the Uco Valley. If you find a bottle of Apartado, you will understand Mariano Di Paolo's conviction to winemaking and the end product. The Gran Malbec 2013 has just been released, according to Mariano. All of the other vintages have been sold out. Apartado wines are worthy of cellar aging ( 5-15 years).